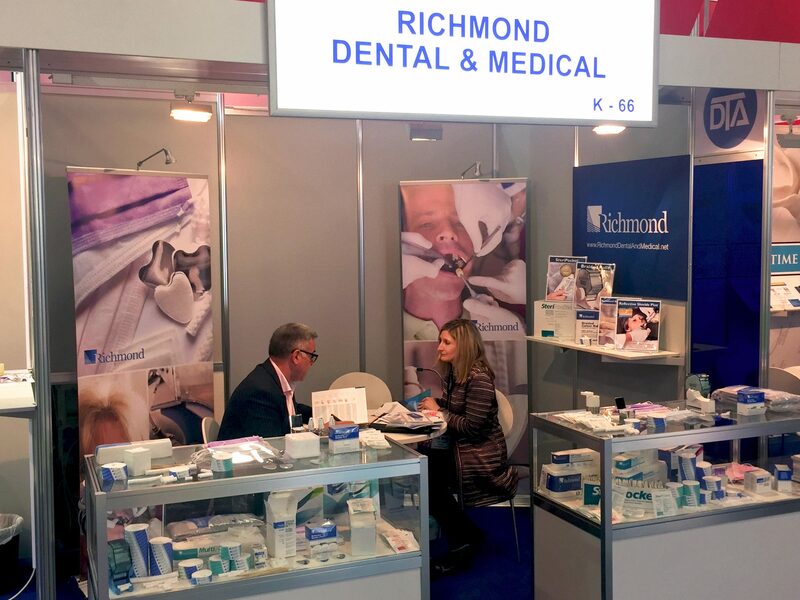 Fran Eskew (Sales Manager for Richmond Dental & Medical) and George Hargrove (Vice President of Sales & Marketing for Barnhardt Natural Fibers Group) attended and exhibited Richmond Dental & Medical products at the 2017 IDS Conference in Cologne, Germany, which was held March 21–25. The IDS Conference is held every two years in the same location in Cologne. There were over 2,300 exhibitors from 59 countries and over 155,000 attendees during the conference. The conference exceeded expectations for both Fran and George. Fran and George met with existing distributors from all over the world, as well as 100 potential distributors from South America, Africa, the Middle East, Eastern and Western Europe, and even the Far East. Many of these potentially new distributors recognized the uniqueness and high quality of the Richmond products, such as the Braided Rolls, Pellets, Face Masks, Sponges, and the large variety of dispensers for these products available. New products such as the EZ Up Pellet Dispenser and the new Level 3 Face Mask were well received by the International community. Dentists and their colleagues from across the globe were in attendance to find out what was new in the world of dentistry. Many of these dentists were fascinated by the Reflective Shield Plus, which is used primarily as a cheek retractor for applying sealants and crown preparations since it has absorbent and reflective properties. Fran will certainly be busy over the coming weeks reconnecting with all the potential business partners for Richmond Dental & Medical. We already look forward to exhibiting in 2019!